M&S already has a chain of convenience stores branded ‘Simply Food’. 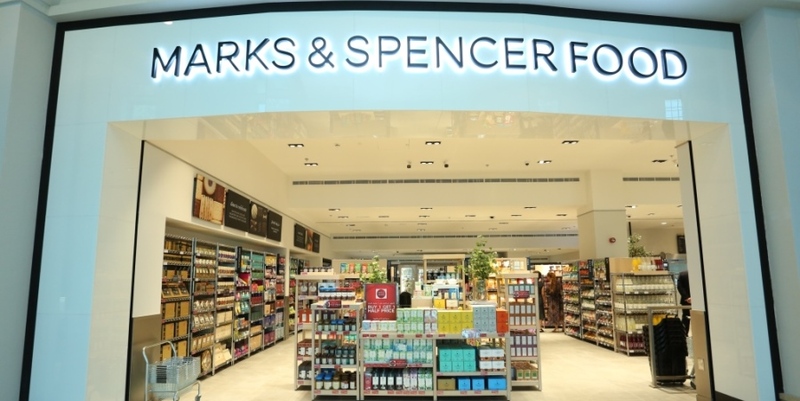 Marks and Spencer is planning a big shift towards food at its stores, and reports say the retailer wants to target the weekly family shop, by having more stores that offer its full range of food. At the moment, it is understood that only around 12 of its stores offer all 6,500 of its food products. The plan is believed to cover conversion of more space in existing stores to food, with new stores that are better designed and better located for customers who want to do food shopping. In a letter to suppliers, M&S reportedly said it was not getting its line of food products: “in front of enough customers” – leaving shoppers assuming that they do not have a full range. “This must change, and it will. The full range will go online with Ocado and we are starting a store renewal programme that will get more products in front of more customers with bigger, better M&S Food Halls in new and existing sites,” the letter said. M&S already has a chain of convenience stores branded ‘Simply Food’, however the company say it is too small to stock the company’s full line of food products. Reports on the widening of its food business come after the recent news that M&S is acquiring a 50% share of Ocado’s UK retail business, for a total consideration of up to £750m. The new strategy aims for Ocado customers to benefit from the range and have access to over twelve million M&S food shoppers. M&S also recently announced it will sponsor the 2019 series of ITV’s Britain’s Got Talent. Sharry Cramond, M&S Food Marketing Director, said: “What better way to get into the hearts and minds of Britain’s families than to team up with the biggest family show on TV. Following the news that M&S are planning to expand the number of stores offering the full range of M&S food products, Thomas Brereton, Retail Analyst for GlobalData, offers his view: “It is understandable that M&S Food’s Managing Director Stuart Machin is looking to expand the food side of the business; over the last decade, M&S has increasingly relied on its food division as its clothing and home side has suffered, with food now responsible for 61% of group sales – up from 52% in 2009. “However, simply offering a full range of food products in more stores will not instantly convert into sales – it will take time for the new proposition to resonate with target consumers, who are more used to shopping at other ‘premium’ players such as Waitrose or Sainsbury’s for the mainstay of their grocery shops. “Only 2% of shoppers currently do their full shop at M&S, and it will be an uphill challenge to convince others to switch from their usual supermarkets – even with M&S’s concurrent focus on reducing prices and providing value. Food Management Today has contacted M&S for additional comment regarding the expansion of its food sites, but at the time of publishing, this request is yet to receive a response.